Well it’s that time of year again that we all get ready for the beach from the fitness section to picking out the perfect holiday closet. What about the accessories? 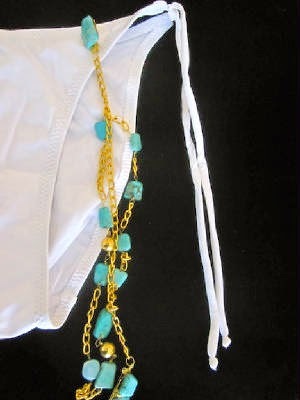 Thinking of wanting something that you can easily wear all day long from the pool to the evening hair? Well French jewellery brand Jean Joaillerie has that answer sorted ladies! The jewellery brand has made a small collection of eco-friendly strands of beautiful jewellery which can be worn with your swimwear amongst the sarong, maxi dress, braided through your hair like you see in Gossip Girl by Serena aka Blake Lively at the white party…. Or even just to give a simple plain colour blocked dress that finishing touch. The accessory collection features only three beautiful yet simple pieces which can cater for all matters! 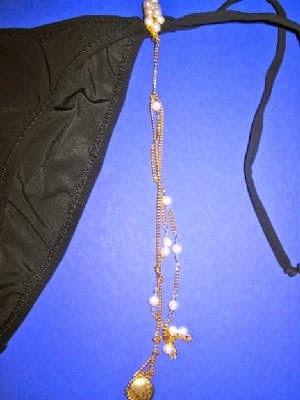 This simple yet complimentary accessory is a three layer gold chain featuring freshwater strung pearls whilst, being keeping its elegance of an accessory in detail has it features a broche and safety clasp. This beautiful piece of broche was found in a local market within France as part of Jan Roberts travels as at the time she lived in France. Whilst coming with the layered gold chain it simply adds that finishing touch of what an accessory should do without being too loud. Continuing the simplicity of these accessories the turquoise strand gives out colour in simply way whilst featuring the minimal finish of the layers of gold chain. For the final piece of the jewellery collection of this range it comes on a more adventures note well, you can tell by the name (haha) but it’s the detail which gives it the name. This particular accessory features the detail of large aventurines crystal stones, rhinestones, gold horns, and all to finish is the gold layered chain we’ve seen before. So Ladies it’s quite clear that you can wear an accessory which has been having its own adventures before yours even starts! To see more information and order a piece of this range and other pieces of ‘Jean Joaillerie’ see here. Enjoy your holiday’s where ever you are going and don’t forget anything!